Summary: Looking for headband designs? 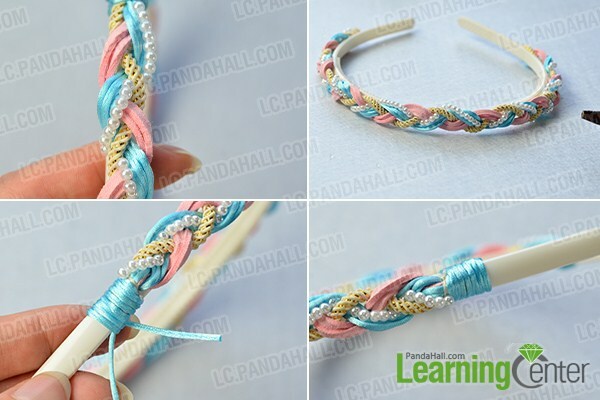 This Pandahall original DIY project will show you how to make a pearl beads and cords braided headband. 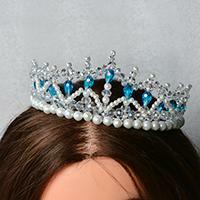 There are many ribbon headbands and bead headbands on our website. In today's Pandahall original DIY project, I want to share another type of headband - a pearl beads and cords braided headband with you. 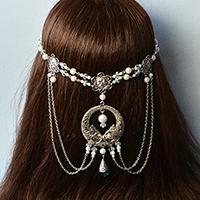 Follow me to see how to make this pearl beads and cords braided headband. 3rd, add some 3mm white round pearl beads to the wheat sewing thread (as shown in the picture). 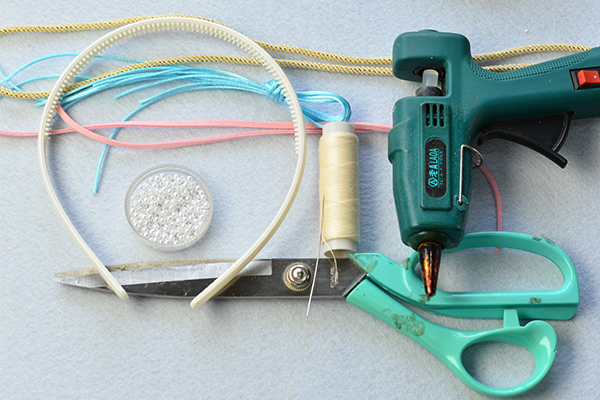 3rd, cut two parts of turquoise nylon thread and wrap them around the two ends (as shown in the picture). Here is the final look of the pearl beads and cords braided headband. 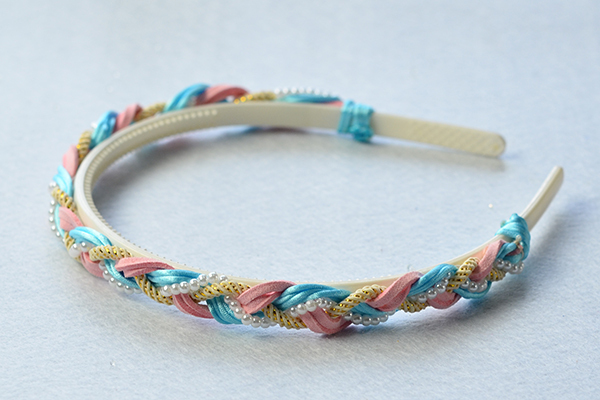 This pearl beads and cords braided headband will be adorned by girls. The making steps are easy to follow. 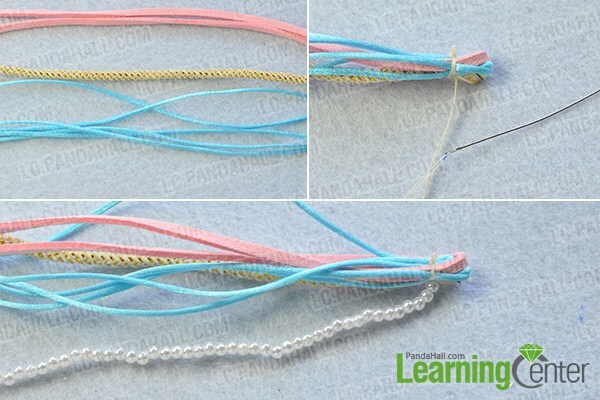 Have a try if you like this pearl beads and cords braided headband.